Like many others, tomatoes are my very favorite thing to come out of the garden. There are so many different things you can do with them. Not to mention the yummy taste. My husband used to kid me that I could probably live on just tomatoes and crusty bread with butter. Yep, that sounds like a perfect meal to me! During harvest season I eat fresh tomatoes with just about every meal. Many people think they are difficult to grow, but that is not the case. We participate in several affiliate networks including Amazon. This means if you click a link and purchase something we will make a commission. There is no extra charge to you. Tomatoes are members of the nightshade family along with potatoes, eggplant, bell peppers and even tobacco. They were once considered to be poisonous. But, thankfully, that was soon dispelled. Most varieties of tomatoes require nighttime temperatures of between 55 F and 75 F to set fruit. There are a few exceptions that set fruit at cooler temperatures for colder climates. At temperatures above 95 the fruits will stop setting. Most varieties will take between 50 – 90 days to harvest. That is why tomatoes are typically started indoors or purchased as plants at a local nursery. I much prefer to start my own seeds as I can choose the varieties I like. The nurseries will have a limited selection with just a few popular varieties. There are determinate and indeterminate varieties. Most of us have indeterminate tomatoes in our garden. They can grow from 6′ to 12′ high. They will have blossoms, immature fruit and mature fruit all on the plant at the same time. They will continue to produce until the first frost. 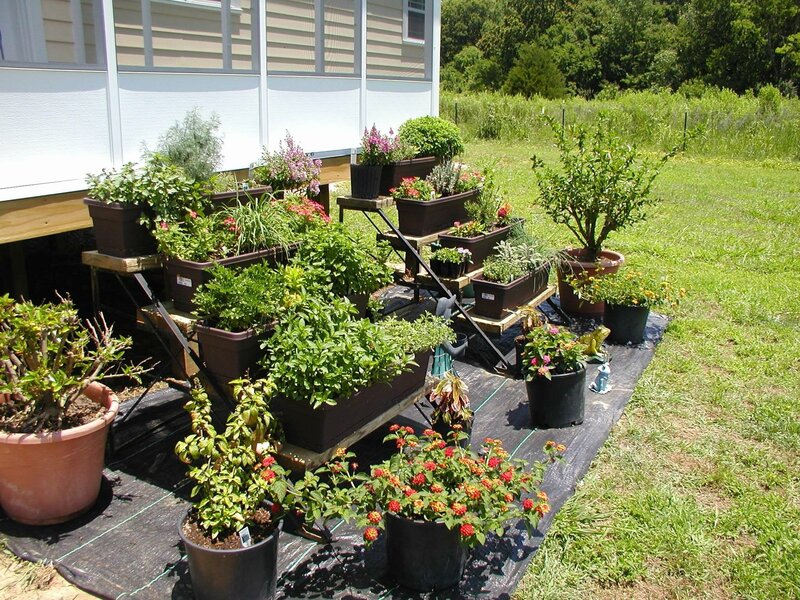 Determinate varieties are usually 3′ to 4′ high and are great for container gardening. They will produce their entire crop usually within a 2 week period. Heirloom tomatoes are seeds that are kept from year to year. Most of them are saved because of their desired characteristics. These may be passed down from family members, or saved commercially. 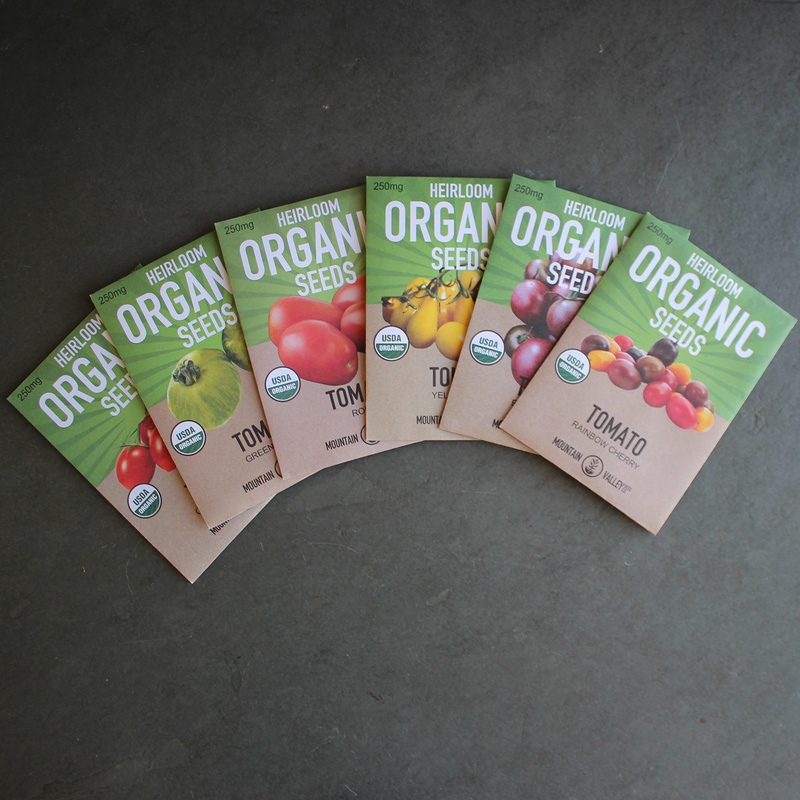 Commercial heirloom seeds are seeds that have bred true for over 50 years. They are considered open pollinated, which basically means that they will breed true. I find that my heirloom varieties do not seem to be as acidic as non-heirloom varieties. Tomatoes should be planted in the Spring when all danger of frost has passed. Some of us in the South are fortunate enough to have a second tomato planting in the fall. In my zone 8 we plant the second crop from the beginning of July through August 15th. Plant in the full sun. Tomatoes need a full 6 hours of sunlight to produce. This is especially crucial in Northern climates. If you are in a Southern area with harsh summer sun your plants will grow and produce even if they have a light afternoon shade. Don’t ever plant your tomatoes where the morning sun will be blocked. Space your plants according to the directions on the seed packet or the stake in your purchased plant. I typically space my tomatoes at 3′ apart. This gives me room to pick even the ones on the back of the plants. I know this next part will sound weird, but I have been planting my tomatoes this way for 20 plus years. Remove all of the bottom leaves off the plant. Bury the plant with the stem running sideways. I just dig a hole with my hands that has a gentle curve to it. I have seen people just lay the tomato in a shallow trench laying sideways with just the very top of the plant above the ground. This will give you a great root system as the roots will grow out all along the buried stem. Don’t worry about the top, it will straighten up in the sun in a day or two. With that huge root system you have a much healthier plant that is stronger and able to get more nutrients. This all equals a better harvest. Tomatoes will grow tall, so be sure to plant them on the North side of a bed where they will not cast shade on the rest of the garden. Also, you will possibly have cages that will cast a shadow. Do not plant tomatoes near corn, dill or potatoes. They do not grow well together. 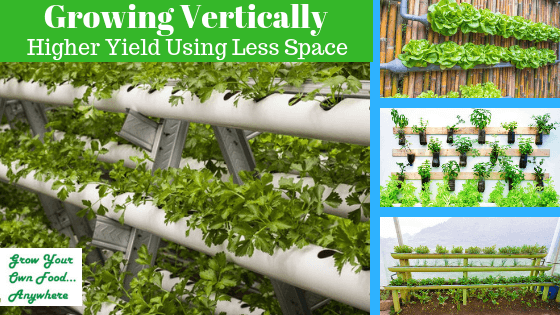 You can plant them near peppers, basil or leaf lettuce. Tomatoes can be grown in a greenhouse, in a hydroponic system, in pots, indoors, even upside down. And yes, I have used the upside down containers. And yes, they do work well. We used them for a couple of years and they produced just as many tomatoes as our plants in the garden. 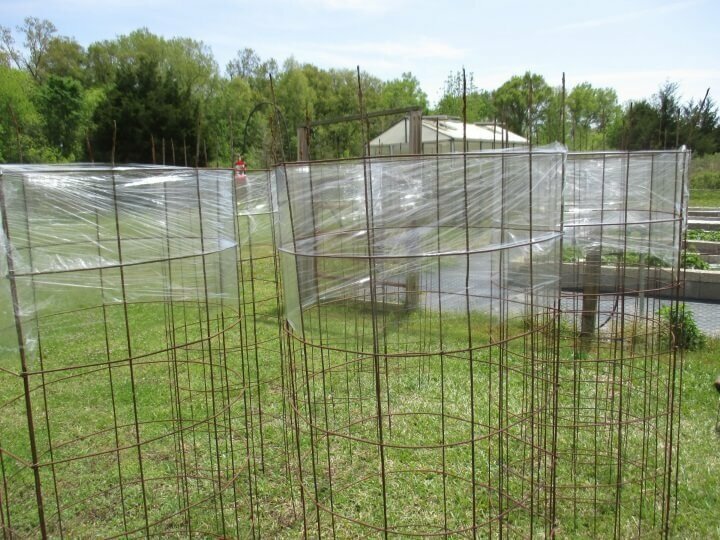 Tomatoes need to be staked, be put in cages, or even grown up a trellis. They need support. Plus, you want to keep your fruits off the ground where they are more susceptible to pests, disease and damage. You can or cannot remove the suckers. I personally don’t bother with this. But, reportedly the suckers do not bear fruit, so they are just a drain on the resources of the plants. You will find these where the branch comes off the stem. They will be a small shoot growing out just above the branch. These are removed simply by pinching them between your fingers. Tomatoes need consistent watering. That is why I prefer to set them up on a drip irrigation system. They need 1 – 2 inches of rain per week. Water deeply to about 6″ to 8″ below the soil level. Do not water if the plants are still wet. Only water when needed. You can test this by sticking your finger in the soil next to the plant. Always water in the early morning. Tomatoes may present with blossom end rot. This is a blackish, rotten looking spot on the bottom of the tomato. This may be caused by inconsistent watering. It will sometimes just go ahead and correct itself. You can still eat the tomatoes, just cut this undesirable part out. Cat facing is another tomato abnormality. It will show up as an abnormally shaped fruit sometimes with scar like tissue showing. It is usually caused by temperature stress while pollination is occurring. Again, just cut out the ugly part and eat the rest. Tomato hornworms are a problem sometimes encountered by us all. These are gross, but they are easy to get rid of. That is if you can find them. They are the same color as the leaves and have a tendency to blend in really well. If you have them you will know it. 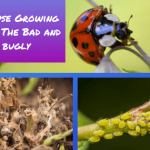 You will see piles of bug pooh below your plants. You will also see big holes in your leaves. If you see these 2 signs go on a hornworm hunting expedition. Alert for the squeamish. You may want to skip this next sentence. The best way eradicate these pests is to simply squash them. Sorry, that is the best way. This is the fun part. Tomatoes can be picked when they are green for fried green tomatoes, chow chow and other recipes calling for green tomatoes. I still like to wait until they have just a little pink blush on their shoulders. They will just be starting to show the slightest hint of color. Otherwise you should wait until your tomatoes are ripe to pick them. Just grab hold and don’t squeeze too tight. 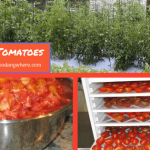 Always store your tomatoes on a counter top out of direct sunlight. Don’t put them on a windowsill. Never, ever, ever put a tomato in the refrigerator. This will just ruin the flavor. If you have to pick tomatoes before they are ripe for some reason, you can put them right side up (like they come off the plant) in a brown paper bag on a counter top. They will ripen in the bag. Tomatoes can be sliced fresh and sprinkled with a little salt or sugar. Or hey, you can eat them plain if you want to! They are great to make sauces. They dehydrate well. They even freeze well. And, let’s not forget canning. 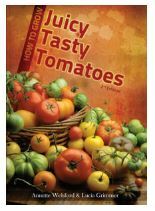 You can make plain tomatoes or tomato and pepper mixtures. I do all of these preserving methods for my tomatoes. Tomatoes are no more difficult than any other garden plant to grow. Give them the proper conditions they require and they will do great! 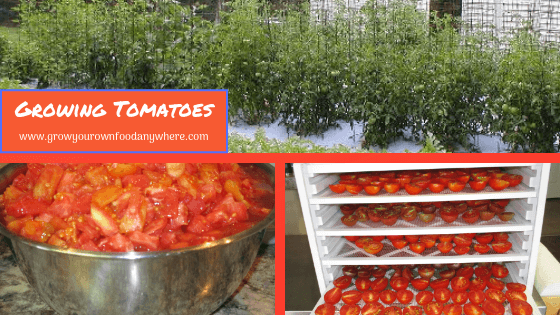 I find that I always have plenty of tomatoes to eat, preserve and share. What are you waiting for? Plant a tomato or two today. 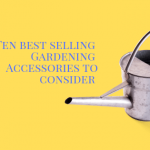 If you’re thinking about planting a garden this spring, it’s important you select the best top soil. Selecting the perfect topsoil for your home garden is the first step in ensuring that your garden will be all that you want it to be. Topsoil is crucial in having a plentiful garden. The nutrients in topsoil allow your plants, flowers, fruits and vegetables, and even grass to grow. With the right selection you’ll have topsoil that’s going to make your garden shine. Topsoil is typically considered the top 2-8 inches of soil. It’s the part of the soil that is the richest and most-life giving for plants. 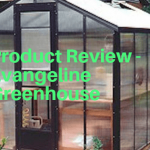 It’s made up of mostly various silts, decomposed plant matter, clay, and sand, and that’s why it’s so good for your plants. This is the part of the soil that will make your plants grow. The best top soil is always the darkest. Choose a topsoil that is really rich in a dark brown or black color. Typically the darker the soil, the richer it is in organic matter which means it’ll contain life-giving food for your garden plants. Earthy dark soil is the first step in the process of creating a lovely home garden. Not only should topsoil be dark in color, but it also needs to be a variety that is loose and easily permeable. The topsoil is where worms, bugs, and other critters like to burrow and dig and this allows plant roots to grow deeper and lets water seep in. Choose a topsoil that feels loose in consistency so your watering efforts will be effective. Too much lumpiness and you’ll have an uneven garden bed and ineffective soil. 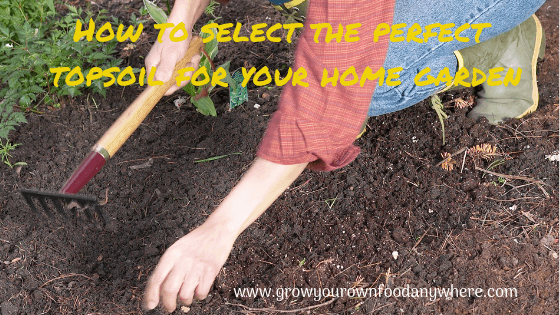 The soil should be loose and easily tilled. Tilling your topsoil is important for a productive home garden. If it’s too hard or clumpy, tilling won’t be as easy and you won’t yield your desired results. When you’re gardening, the right nutrients need to be able to easily glide through the topsoil and hit the roots of the plants. There’s a lot of topsoil varieties that come at a cheaper cost because they are mixed with other debris that won’t help your garden. Avoid topsoil that have small rock particles, other plant roots, and substances. 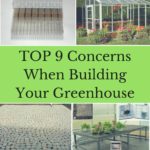 This will interfere with the healthy growth of your garden. Invest into a topsoil that costs more but will make your garden grow and flourish. You can easily find topsoil at most home repair and garden stores. Ask a garden associate to help you decide which topsoil is best for your garden. Some topsoil bags will be labeled with different information to help you decide. 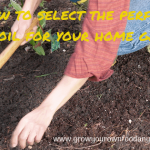 Topsoil is an important resource for the health of your home garden. Make sure that you know how much topsoil you will need. 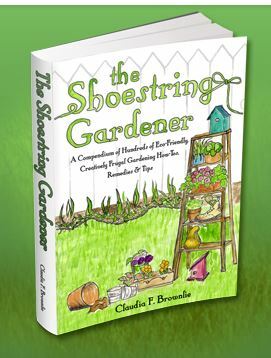 You can do this by making sure you have taken the proper measurements of the size of your garden. 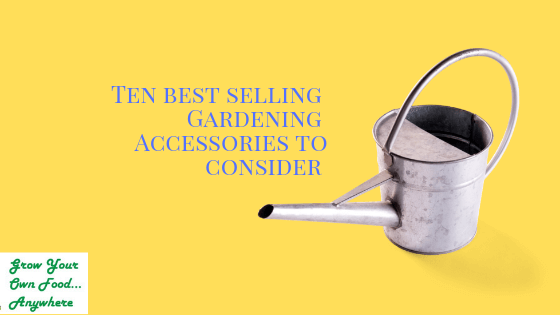 If you’ve just planning on having a small garden or flower bed, you won’t need as much soil. If you’re looking to yield a plentiful harvest and expand your garden, having enough topsoil is extremely important. Know your dimensions and work from there. Although topsoil is normally considered the top two inches of soil, again it can range all the way to 8 inches deep. Most gardeners will use more topsoil than just the standard two. Your garden can use topsoil that is 7-8 inches deep which means you will need to factor in the amount of topsoil to be purchased. If you’re just looking to grow your grass, then you can use up to 6 inches of topsoil. Topsoil is sold in bags and in bulk. Usually with bulk orders you’ll have to make special arrangements. If you do buy topsoil in bulk, it is not priced like regular bags, but rather by the cubic yard. Also, varying topsoil is available based on factors like the area you live in, and a particular soil availability in that area. Sometimes the town or village office locations will occasionally leave bulk piles of topsoil for local gardeners for free. Look out for these opportunities in spring and summer. When it comes time to plant your garden and use topsoil, be sure to take account of any lawn edging around your garden bed. Lawn edging creates crisp and clean lines around your garden so it’ll be separated from the rest of the lawn area. It’s a great way to ensure that grass won’t reach in and mix with your topsoil. Because grass, weeds, and shrubs grow very quickly, make sure you have enough topsoil to continue proper upkeep of your home garden. There’s a lot of different lawn-edging landscaping techniques. You could choose to surround your garden or flower bed with sidewalk pavers, steel or aluminum edges, or plastic edges. When using metal edges, make sure to wear shoes when you’re walking around your garden or you could easily get a cut. You can install edges around your garden by digging a trench all around your garden as the first step. Next, you will want to use stakes and the materials mentioned above to secure the material into the ground so it’s not easily uprooted. Be careful not to create garden edges too closely to where you have planted roots. 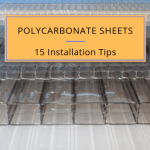 Skilled lawn care workers can also easily install these edges for you or you can look on the web for tutorials on proper installation. Your lawn edges will need maintenance as time goes on. When trimming overgrown or unruly grass around your garden, it’s inevitable that some pieces may fall into the topsoil and mix. It’s important to have topsoil on hand to refresh the top inch or two after trimming. Having a lawn edge is definitely a great preventative method but you still need to make sure you’re maintaining the edges of your garden when necessary. If you hire a company to take care of your lawn and garden, make sure the workers know to replenish topsoil. Have them use topsoil that’s of high quality, dark, rich, and free of debris. To summarize, select the perfect topsoil for your home garden by choosing dark and nutrient-rich soil. Make sure it’s loose and easily tillable. Invest in soil that may cost more but will have better long-term effectiveness. 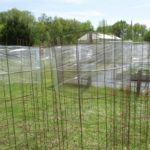 Know your garden dimensions and have enough to cover the necessary depth. Lastly, upkeep your garden with lawn edging and replacing topsoil after trims and lawn work. We participate in several affiliate programs. That means if you click on links in this post we may receive a compensation in the form of a commission. This does not add any cost to you. Mint, it is tasty, it is easy, it is fun to grow. A few years back we lived in a small town that had a family owned nursery. One of their specialties was different types of herbs. They grew them in 4″ pots and sold them for $2 each. So, it was not only fun to experiment, it was also pretty darn inexpensive. I remember one day we were kicking around seeing what was new. The patriarch of the family came over to talk to us. He was saying that it was pretty boring living in a family of botanists. He said the conversation at the dinner table consisted of new varieties and how plant trials were growing etc. It sounded like lovely dinner conversation to me. But, I guess I was born with dirt on my hands. Mint is a perennial herb that is very easy to grow. (A perennial is a plant that lives more than 2 years.) In fact if it is not kept in check it may become invasive. It has a square stem with opposite leaves. The roots of mint are shallow and easy to pull out. The plant has runners under the ground. These will come up as new plants. What types of Mint are Available? There are quite a few different flavors of mint available. There are pineapple, chocolate, orange, spearmint, peppermint and lemon balm. I have personally owned all of these plants. It is amazing how much they smell like pineapple, chocolate and orange. They are easily identifiable. Just pick a couple of leaves and rub them between your fingers. How do you plant Mint? Mint can be started from seed, but it is about a 90 day time from planting to harvest. Plus some of the mint seeds do not have a high germination rate – meaning not all of the seeds you plant will grow. Most people choose not to do this as the plant is so easy to propagate from cuttings. You can take a cutting off your mint plant, take off the leaves towards the bottom, and place it in a glass of water, or dip it in some rooting hormone and then plant it in soil. You can even cut the runners which have a new plant formed and place that in soil to grow. How do you grow Mint? Plant your mint in soil that drains well. They should be placed 18 – 24″ apart. It will grow in full sun, or in morning sun with afternoon shade. Some people chose to plant their mint in a pot inside another pot when growing in a container. That keeps the mint from taking over the entire pot. You should keep your plants in control by pulling or cutting any volunteer plants that are not wanted. You can either discard of these, or you can pot them up as new plants. Be careful where you discard your mint, as it may just end up growing there. You can either selectively harvest only taking leaves when wanted, or you can do a full harvest 2 – 3 times a year. I would do a full harvest when I am planning on dehydrating or storing the leaves in any other manner, or using them for jam, etc. 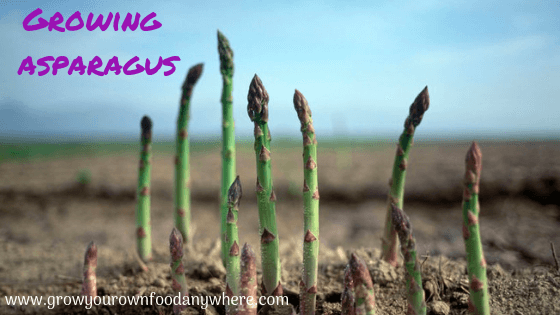 The young leaves will have more flavor than the old ones. You should harvest before the plant flowers, although the flowers are usually edible as well. Be sure to keep the tops pinched off for bushier more compact plants. Mint is also a great plant to grow on a windowsill. It would be an excellent first plant for a child learning gardening. You can start it in a glass of water so you can watch the roots grow. Just think how fun that would be! 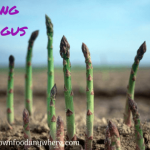 Avoid using too much fertilizer as this will cause the plant to flower sooner. You are looking for the leaves with these plants, although the flowers are pretty. Mint should be planted outside after the last frost of the season. The roots will survive the winter into zone 5 – 8 . The plants should be trimmed and heavily mulched. The tops of the plants may live in zones 8 – 10. They are slightly frost tolerant. Or, if you want to use your mint year round you can just dig some up, plant it in a pot and take it indoors for the winter. What can you use Mint for? Mint has a lot of different uses. Of course mint leaves are great in drinks such as ice tea. You can also use spearmint for a mint julep and any of the flavored varieties for a mojito. Some mints have medicinal properties. They can be used as a digestive aid or a breath freshener. You can use mint in pesto, in baking, to make extracts, jams, sauces, in salads, etc. Mint can attract beneficial insects to your garden such as predatory wasps. These cut down on the caterpillar and grub population, as they feed them to their young. Mint also may repel mice, ants, flies, spiders and deer. 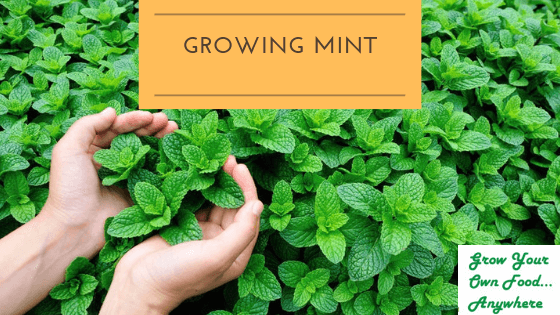 Once you have started your mint plants you will probably never need to buy the same variety again due to the abundance of leaves plus the ease of propagating this plant. So, go out and get a good selection of “flavored” mints and see just how easy they are to grow.